1 Apps English grammar—yes, there’s an app for that too. Test what you learned in class by taking the interactive quizzes in the . 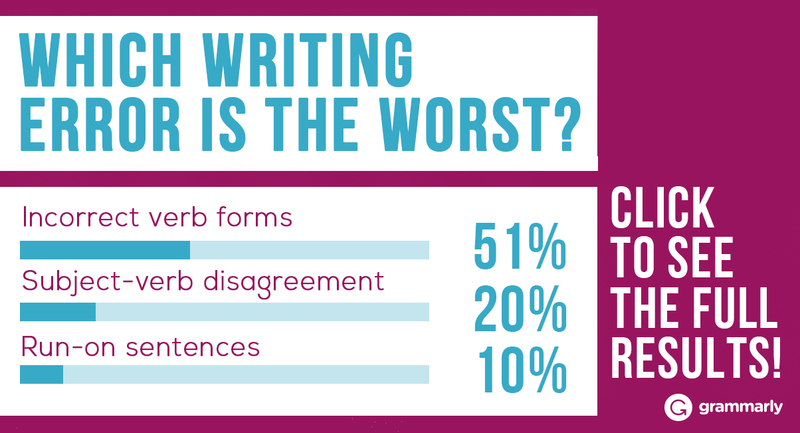 Try to beat your best score and watch your writing proficiency improve. 2 Movies Actors can make you laugh, cry, and master challenging parts of speech! Teachers have long been incorporating movie clips into their lessons, but you don’t have to wait until you are in a classroom to benefit from your film library. has published links to lesson plans and worksheets that you can follow on your own. Now you have a great excuse to watch your favorite movie tonight! 3 Media There’s good news for English language learners. Newspapers and magazines are excellent sources of grammar practice. Challenge yourself to identify verb tenses, nouns, adverbs, and other parts of speech. prepares learning materials related to current events. On the site, you gain a greater understanding of how grammar works as you answer comprehension questions, guess the missing words in gap-fill exercises, and place words in logical order in word jumble activities. 4 Video Visual learners will benefit most from video lectures. Both and have dozens of videos created by experienced teachers and native speakers. Go directly to a subject that interests you or ask your teacher which skills you need to reinforce. 5 Podcasts and Radio Broadcasts Smartphones make it possible to take your learning on the go. Wouldn’t waiting in a doctor’s office be more interesting if you were learning at the same time? You can download programs in advance or stream podcasts wherever you have Internet access. Most podcasts don’t require a large time commitment. presents grammar tutorials in a broadcast series called Six-Minute Bloggr. Can you find six minutes to listen and learn? 6 Games Games are useful resources for learners who have a short attention span. While you are focused on getting points or rescuing a noble, you won’t even realize that you’re practicing your grammar. Buy a grammar board game from a teacher resource store or download a . If you don’t think you will be able to round up other players, play single- or multiplayer games on . 7 Music Have you ever caught yourself humming a song that you don’t particularly like? The catchy tune might have gotten stuck in your head because music is a powerful memory aid. You can listen to specifically designed for grammar instruction or print the lyrics to your favorite melody. As you hum along, pay special attention to grammatical structures. Many times, you will hear “errors,” but even identifying these artistic mistakes is a unique way to practice your skills. 8 Online Courses If you prefer the systematic approach, consider an online course. Online courses work well for students with busy schedules or those who prefer to learn at home. is an introductory class for beginning English learners or native speakers who need to build a stronger foundation of the essentials. More advanced instruction is available on . There, you can track your progress through coursework without cost and earn diplomas and certificates with a paid enrollment. 9 Websites What can’t you find online? tackles everything from basic grammar to complex constructions. Quizzes and exercises accompany most of their grammar lessons. You can also print worksheets to test your knowledge. 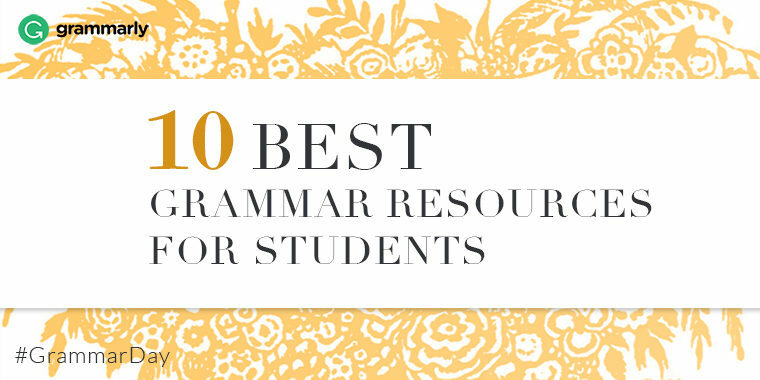 10 Books Sure, you can read a grammar guidebook. But if that thought doesn’t appeal to you, get in touch with your inner child. Brian P. Cleary’s picture books for children may be just what you need. They cover basic grammar concepts with clever rhymes and memorable illustrations. You can download or one of his other books in the Google Play Store. March fourth is quickly approaching. It’s time to get ready! Which of the ten resources will you use to expand your knowledge of grammar? It wouldn’t hurt to try them all!